In this instalment of the eToro’s Beginner Guide series, we will be looking at XRP, a current top three cryptocurrency by market capitalization. We will explain its use cases, structure, current status, and its main criticisms. The first question is, what does ‘Ripple’ refer to? There’s quite a bit of financial jargon in that header. But this shouldn’t be surprising, because Ripple is, at its core, a finance company. It is a platform where parties can easily make payments without the usual ‘walls’ (think PayPal’s fees) and where financial institutions can source liquidity (i.e. large amounts of cash) from one another. Ripple’s early investors reflect this goal, having names such as Standard Chartered, CME Group, Accenture, Google Ventures, and IDG Capital Partners. Ripple was designed to work with mainstream finance, not to oppose or replace it. Crypto-anarchists are surely no fans of Ripple. The first Ripple product and also its (currently) most widely-used one. It is an instant payments solution for banks, but notably only uses fiat currency. Ripple has claimed over two hundred financial institutions use this product. The most recent product, it is an API that allows entities to access RippleNet to send payments. Again, it only uses fiat currency. Launched in October 2018, this is the crypto equivalent of SWIFT (recall how if you want to send/receive money to your bank internationally, you’ll need to know the SWIFT code). It is also for settling international payments, however in this case the XRP token is used as a bridge between currencies, whether fiat or some other crypto. Of course, you might wonder what advantage using XRP as a bridge gives. To facilitate international payments, banks must have a pre-funded bank account in the local country (known as NOSTRO accounts). Since crypto is borderless, using a crypto-bridge eliminates this need while ensuring both sides of the transaction can remain in the local currency. Essentially, it provides on-demand liquidity, and frees up banks’ capital that would otherwise be sitting in those pre-funded accounts. As you can see from the diagram above, the process requires digital asset exchanges on both sides to serve as crypto-fiat ramps. This means in addition to the end user financial institutions (its main clients), there needs to be a healthy ecosystem of digital asset exchanges to support widespread adoption. The XRP token has been a strong performer—it was in fact the best performing token in the 2017 bull run. While its price has of course steeply declined since then, in tandem with the broader crypto market, its price as of this writing still remains at levels seen in early Dec-2017. If you wish to invest in XRP, you’ll have to buy them off one of the exchanges, because you can’t mine them. XRP is what is known as a pre-mine, meaning all 100 billion XRP tokens were already ‘mined’ at inception. About 40 billion XRP tokens are presently in circulation. It is worth mentioning that Ripple itself holds about ~55% of the entire token supply in escrow, giving them major control over XRP itself. This concentration of power (aka centralization) is one of the main criticisms of Ripple. For XRP to be successful as a crypto-bridge between various fiat currencies, the network must have a certain performance standard. Ripple claims the network is capable of processing 1,500 transactions per second with the potential to further scale to Visa levels (~50k per second). For reference, Bitcoin can only do about seven per second and Ethereum around 20. The next thing is fees. 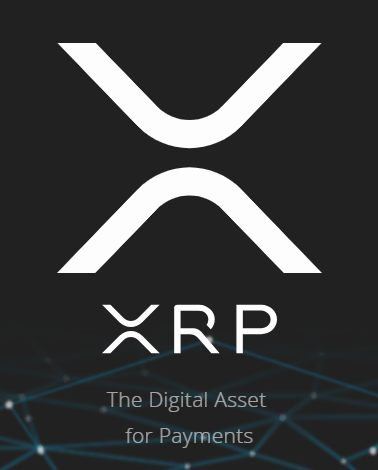 For mass adoption, fees have to be low and each transaction on RippleNet has a minimum transaction cost of 0.00001XRP. Importantly, fees do not vary by transaction amount, but only from the business of the network. XRP tokens used for transaction fees are burned. But since XRP is fully pre-mined, how are transactions on the network validated? Ripple validates transactions through a group of validators known as the Unique Node List, sort of like a ‘High Council of Validators’. Currently this council is chosen by Ripple (the company) and it also runs significant number of nodes itself—the centralisation criticism surfaces here as well. However, it has stated it eventually intends to remove itself from the process and leave it up to network participants. You can see the list of validators here. So far, there are no explicit rewards given out to chosen validators. This contrasts to, for example, Bitcoin and Ethereum, where the miners are the validators and receive direct block rewards. Due to its ideological beginnings, Ripple has a good chance to bring crypto into mainstream finance. It already has a good base of financial institution clients, and if it can migrate them all over to using XRP and expand from there, it would be a coup. Nonetheless, it remains dogged by criticisms of being over-centralized, which is perhaps an inevitable trade-off they made to boost performance.